About - Farmington Implement Co.
International Harvester changed the advertising world forever in 1911 with the production of “Back to the Old Farm,” the world’s first commercial film. Shown in local theaters, all early films were 35mm and featured tractors, trucks and many educational subjects. The advent of 16mm film and portable projectors allowed convenient showings for the dealer open house and other groups and clubs. 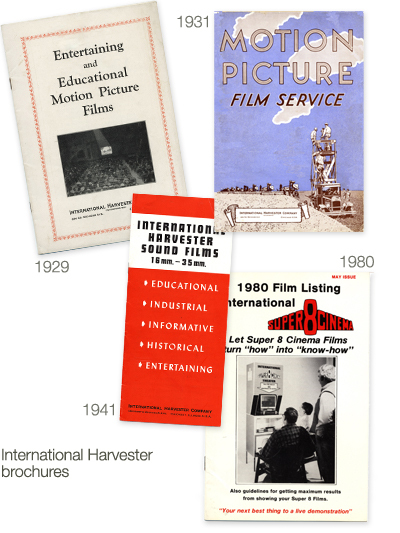 Many Harvester films from the 40′s and 50′s were major productions with well known actors that had the unique ability to entertain and showcase IH equipment. 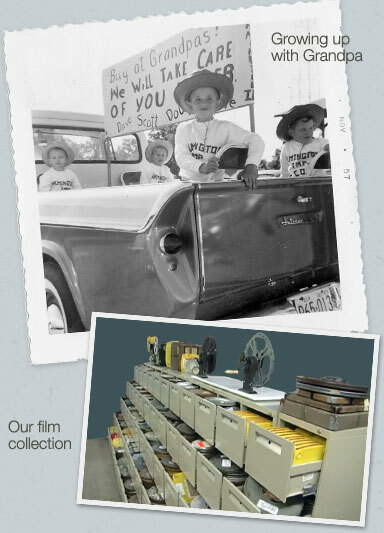 The 60′s brought Harvester’s own film studio and a flood of award winning films that continued until the age of video. No other corporation has ever equaled International Harvester’s incredible film chronicle. The precious gift of showing past generations the future and future generations the past are the unequaled film legacy of International Harvester. Growing up on a Wisconsin dairy farm in the early 1960s with shiny new IH equipment purchased at Farmington Implement (my Grandfather’s dealership) was a sure way to build loyalty. Always attending school and missing every IH promotional film ever shown at Grandpa’s open house created a vast yearning for those missed films. Many years later a decade of intense and expensive searching revealed a sobering reality. 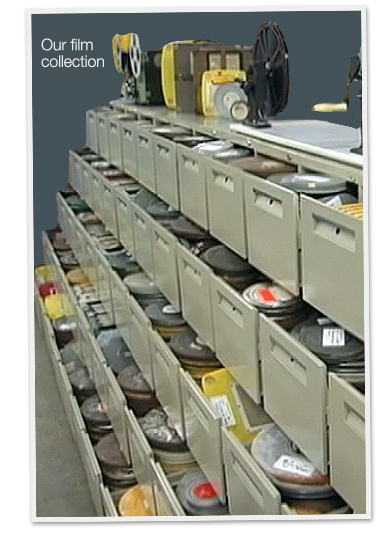 The IH corporate film collection was carefully preserved for eight decades until tragically most of it was discarded in 1991. The single greatest corporate film collection in the world was gone. How could this be? In time that question would be answered and large portions of the original corporate collection were reassembled from many different sheds, attics, garages and basements where farsighted individuals had triumphed over the dumpster. Other films from across the U.S. and the entire world have been added to what has become the largest International Harvester film collection in existence. Films continue to be added as the search relentlessly goes on. Production of a Farmington Implement DVD begins with Intellectual Property clearance of each title. The films are carefully cleaned to prevent damage and insure high quality images from twisted and warped vintage film our own transfer equipment operates at 1/3 normal film speed. The broadcast grade camera produces images frame by frame that are made into a digital computer file and a second operation produces the digital audio file. A professional grade Matrox® computer system allows us to seamlessly replace poor and missing sections of film with footage from another copy, add and synchronize sound, return color to film that has turned red and make many other adjustments as well as produce special features. DVD production is accomplished with a glass master by a leading DVD manufacturer for the highest quality possible.